I think I have mentioned this before, no ripe bananas goes to waste in my house. 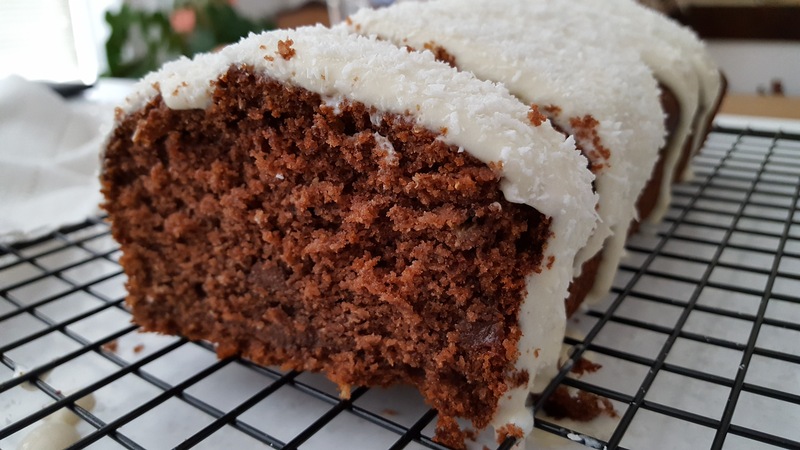 This easy cake is great for using up overripe bananas, and why wastes when you can turn them into such delight. This is a new recipe that I decided to try after work, and I can only say that’s my way of unwinding myself and end up with a scrummy dessert. We always buy bananas with the intention of eating them every day as a part of the five a day healthy option, but I have to admit, I have no guilt feeling leaving bananas in my fruit bowl. Because I know they will be used in several other ways and one of which is here below. I like to make this cake in a loaf tin but by all means it makes a lovely round cake as well. A lovely slice for afternoon tea. As you will notice this recipe I am using cup measures……I let you in a little secret I never used a kitchen scale until one year ago. I always used to bake my cakes only by measuring with cups and spoons. Because I really want you to know how easy this cake, I decided to give you the quantities in cup measure. 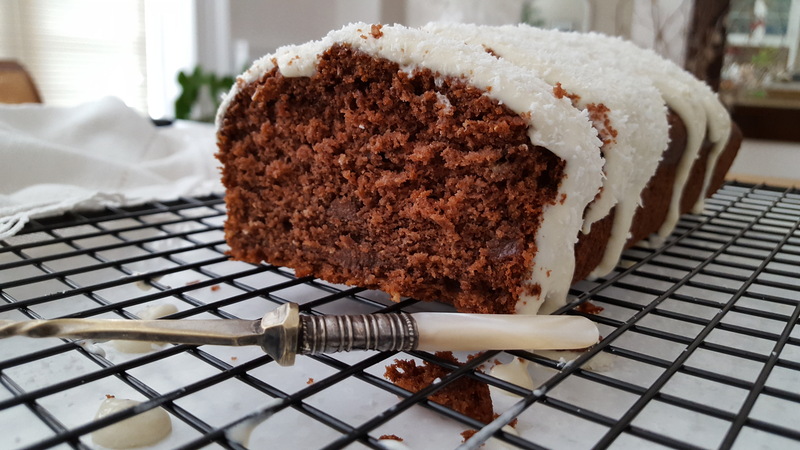 So don’t be disappointed if you don’t have a kitchen scale, because you can still bake this cake. Traditional way of measuring ingredients is not out of the window!!!! Other Suggestion: My preferred choice would be the cream cheese topping, (since I didn’t have cream cheese I opted out for the above option, which turned out really good). You can do this with cream cheese instead of milk. Simply cream sugar and butter then add the extracts and coconut until soft peak texture. Preheat oven to 180°C. Sieve flour, cocoa powder, baking powder and bicarbonate of soda and set aside. Lightly grease a large loaf tin, line the base with baking parchment. Beat butter and sugar together until creamy, then add eggs one at a time and continue to beat until mixed. Add flour and gently mix, alternate with the mashed banana and milk (if required). Fold in the chopped nuts and some coconut. 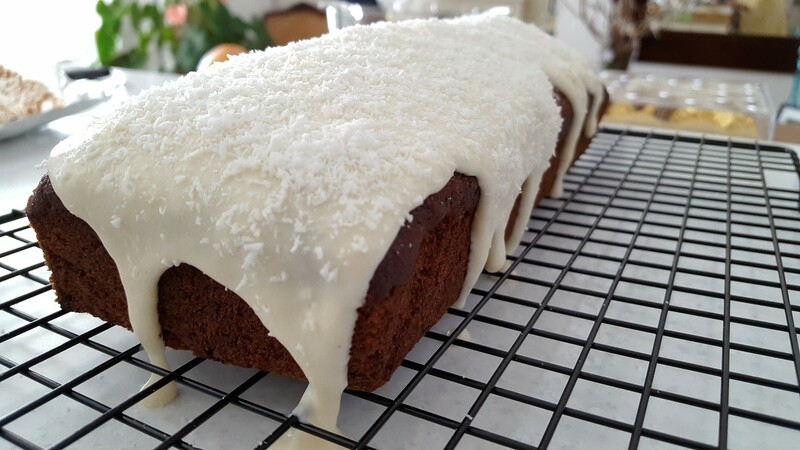 Sprinkle some more coconut on the cake. Bake in the pre-heated oven for about 25 – 30 minutes, until well risen and golden brown. Test by inserting a skewer inserted in the centre should come out clean if the loaf is ready. Leave to cool in the tin for a few minutes, and then turn out. Leave to cool on a wire rack. 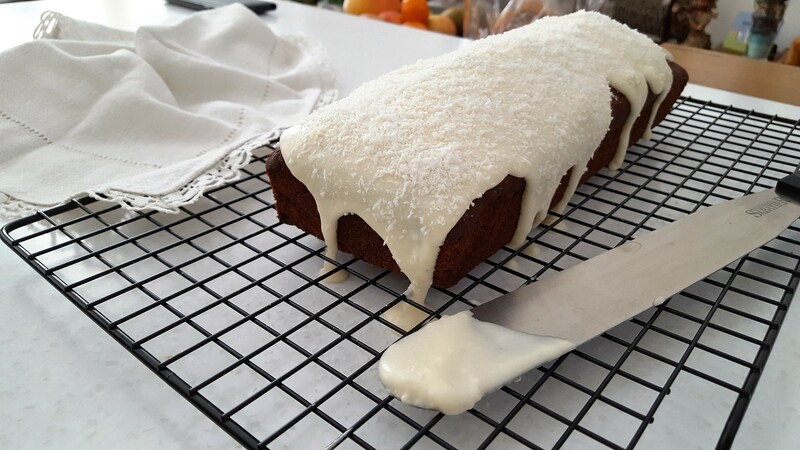 Once completely cool down spread the icing mixture over, and top with a good layer of desiccated coconut. Heat the milk, flour, and granulated sugar together over medium heat, whisking constantly. Once it starts to thicken like custard remove from heat, add the extract mix well and leave to cool down completely. Once the mixture is cool, beat the butter until light and creamy, whisk in the cool custard into the butter and whisk to form soft peak. 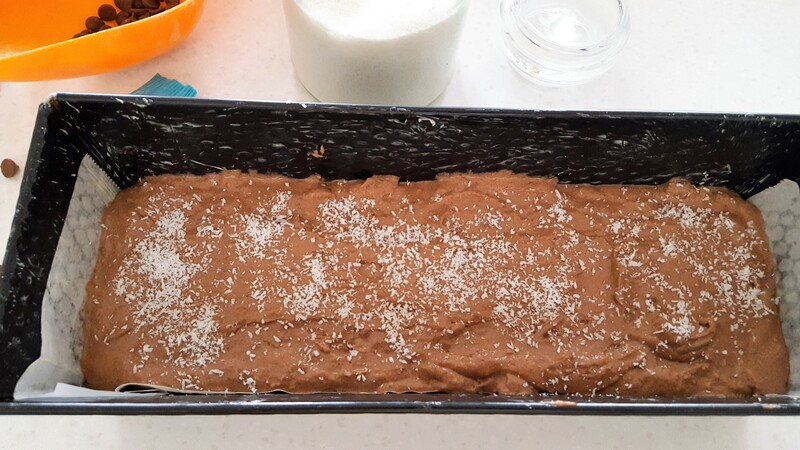 Mix in the coconut and set aside until ready to ice the cake. Brinda’s Note: The addition of mixed nuts is optional. This cake can be made as a tray bake in a square tin or a round cake tin.